Having good information is only the start towards change. 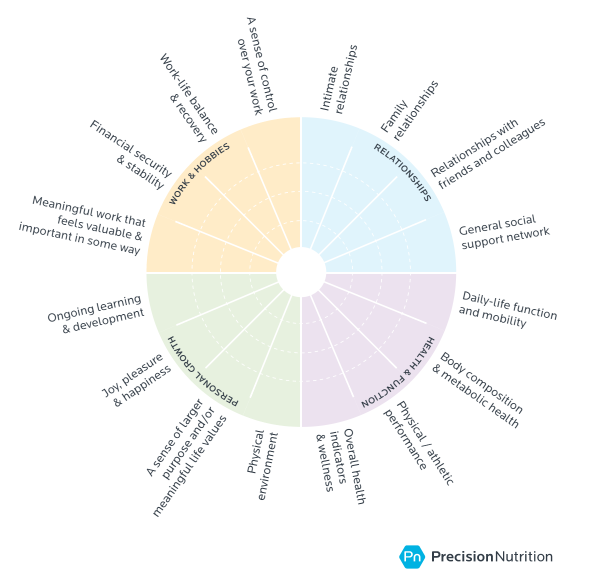 While I provide you with 52 habits to practice to feel better with IBD, I must provide you with a habit that explains the framework on how to make anything a habit. Enter the habit of how to make it a habit (excerpt from Precision Nutrition). Start with awesome – what are you already doing well? What do you already like to do and can do it well? Do more of what those answers are. Allow yourself to choose the direction – remember that you can say “no” if you know that something might not be the best for you. Remember, notice and name? Notice what feels best for you at this moment. Go in that direction. Set the right kind of goal – think of a behavior that you can control not an outcome that you hope to happen. Review Habit 21 for help. Choose ONE small piece – pick one habit, thought, or action to focus on until it feels natural and effortless. Shrink the task even further – can you shrink the actual task even more? Small, almost seemingly inconsequential habits, actually performed are ultimately much more beneficial that bigger habits left undone. Confirm the fit – how are you feeling with the habit/goal/plan you have in front of you right now? If there is any apprehension, nerves, or tension (that’s all fine by the way) simply go back and shrink the habit a little more until you feel comfortable. Use outcome-based decision making to assess how well the habit worked and plan next steps – remember the question from Habit 19, “how’s that working for me?” Keep using that as you progress for better results. Use the above list as a framework to begin your process of improving habits. Write out your answers. Review them and share them on the Facebook group page. There are several research studies showing the benefits of self-compassion, defined as a mindful awareness of oneself, which involves treating oneself kindly and understanding oneself during difficult and challenging times by realizing that such experiences are common amongst all humans. The idea these studies support is if I’m simply a little bit nicer to myself I’ll improve in whatever area I’m working on. This habit is especially vital for us living with IBD. We do not need to beat ourselves up about our IBD. We do not need to push extra hard or suffer unnecessarily in order to get better. Self-compassion may be especially relevant for moderating stress-induced inflammation because of its functional similarity to perceived available social support, which has been linked to healthier immune functioning. Giving yourself a break (maybe taking that nap later today) when possible is healthy. It’s not the same as giving yourself a “get out of jail free card” or skirting major life responsibilities. Practicing self-compassion is taking a kind, gentle view of your life and simply being nicer to yourself. You simply do all the above with an understanding that practicing self-compassion will help you in the long run. Life can be tough enough – especially with IBD – give yourself a little self-compassion when needed. Self-compassion could take the form of a nap or extra time to complete a task. And after you’ve taken that necessary rest you get back up and begin again on your journey to feeling better with IBD. The Tibetan word for meditate means “to know”. The more we know ourselves the better we are able to practice healthy habits that help improve our mindset, nutrition, and movement. This helps keep us healthier, hopefully flare free, and better able to recover from any IBD health setback. Awareness, or mindfulness, is simply paying attention to what is happening right now. What are you experiencing and feeling right now? Take a moment to observe. That purposeful observation is awareness. To work best, awareness should be nonjudgmental. You’re just looking. Feeling. Sensing. Experiencing. Noticing. That’s all. Notice and naming things changes them. Fundamentally. Set aside 5 minutes every day to simply sit and be mindful, aka meditate. If you must have something to focus on try lighting a candle and simply watch it for those 5 minutes. Headspace is a very helpful app for this. That’s as complicated and as simple as it should be. Practice your 5 minute meditation today. Being nice to others (aka politeness) can be easy. Treating ourselves with that same quality can be sneaky tough sometimes. For some reason it can be too easy to be our own worst critic. So just play around with this habit today. See what it feels like to be a little nicer to yourself. You can write down your positive qualities if that helps. Start small if you’re having a tough time coming up with anything. You can call yourself and leave a voice message saying nice things. You can write yourself a letter and actually mail it. Come up with at least 10 nice things about yourself. It can be personality traits, actions, even nice thoughts. Write them down. Keep them where you can easily see them. And it’s important to me that…. Notice what kind of responses you wrote down. What values do you see? What is important and a priority for you? Are you living these values and priorities right now? Could you live them just a little more today and tomorrow? What would your life with IBD look like if you did? Bonus idea: write down your completed sentence and place it where you’ll see it daily! Share your answers with someone that supports you.